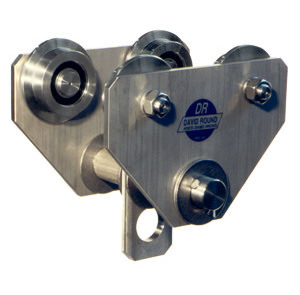 The David Round Company manufactures a complete line of stainless steel trolleys and drives. Industries that require the use of cleanroom applications rely heavily on these stainless steel versions since they are corrosion-resistant. Types of trolleys and drives include fixed wheel and articulating styles. In addition, any of David Round’s trolleys and drives can be manufactured in manual, hand-geared, or motorized versions.